Frida in Glendale is another “CKD2” Restaurant Builders" project. 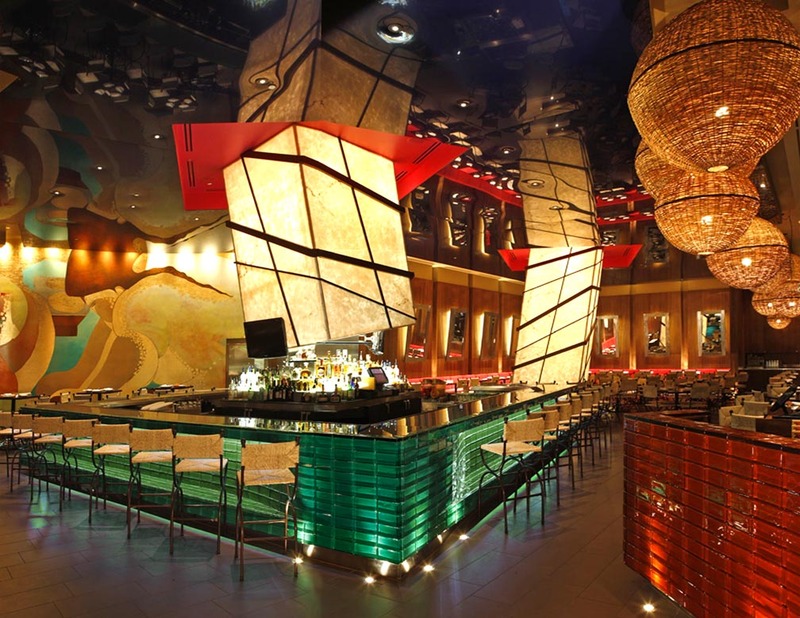 A huge colorful mural on a curved slanted wall, glass tiles on the bar, a black reflective ceiling, and the back lit diagonal boxes are all visible from the street. Add the exceptionally good food, in a area close to Hollywood, and you're at the place to be.